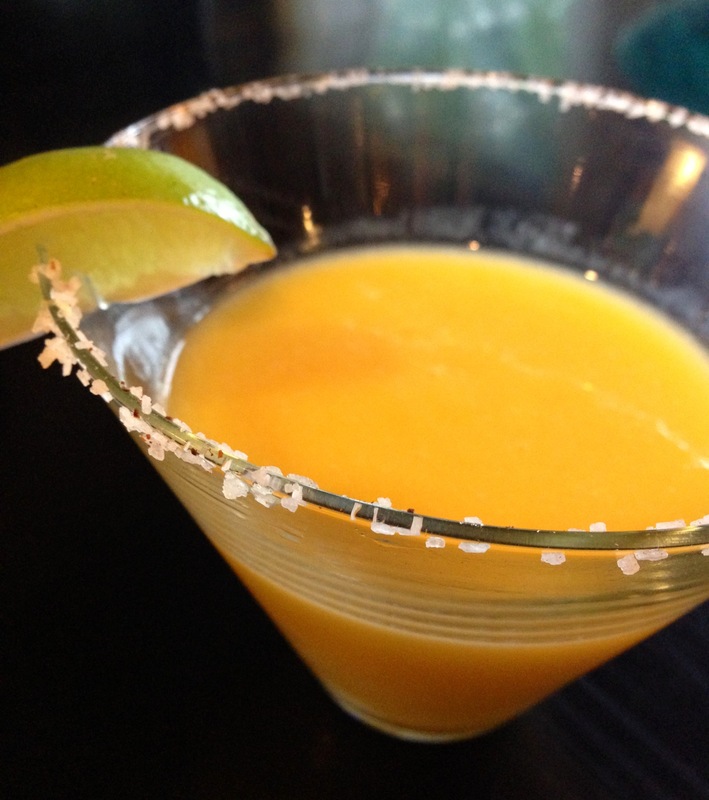 Mmm whats more refreshing than a chilled margarita on a hot summer day? Perhaps only a swim in the ocean! I’ve been asked a lot over the last week about my last post and if I am changing the name of my blog… Don’t worry Ski Boots in the Kitchen is not changing its name! My post “from Mrs. Hardy’s Kitchen” was just the first post I’ve done since being married and changed my last name! 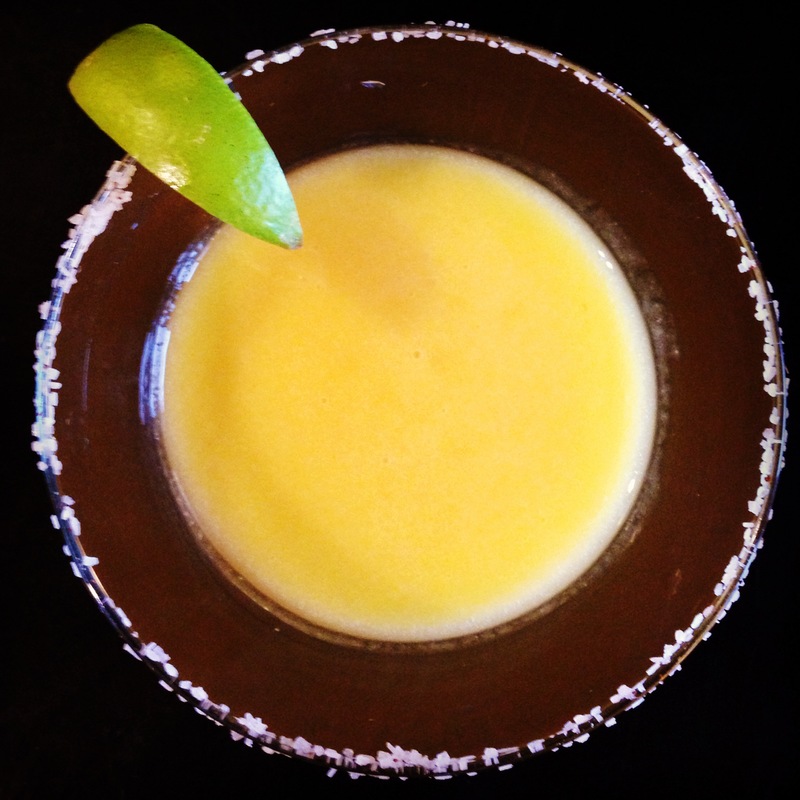 Now that I’ve cleared things up and you’ll be able to sleep… Onto the best margarita recipe you’ll ever try! Depending on how much spice you like you can substitute the Serrano chili for a Jalapeno chili which is a bit less intense, however the Serrano gives this marg the perfect KICK! The chili salted rim also contributes to the perfect fiesta in your mouth! Combine all ingredients in a blender and blend until smooth. Combine salt and chili pepper on a small plate. 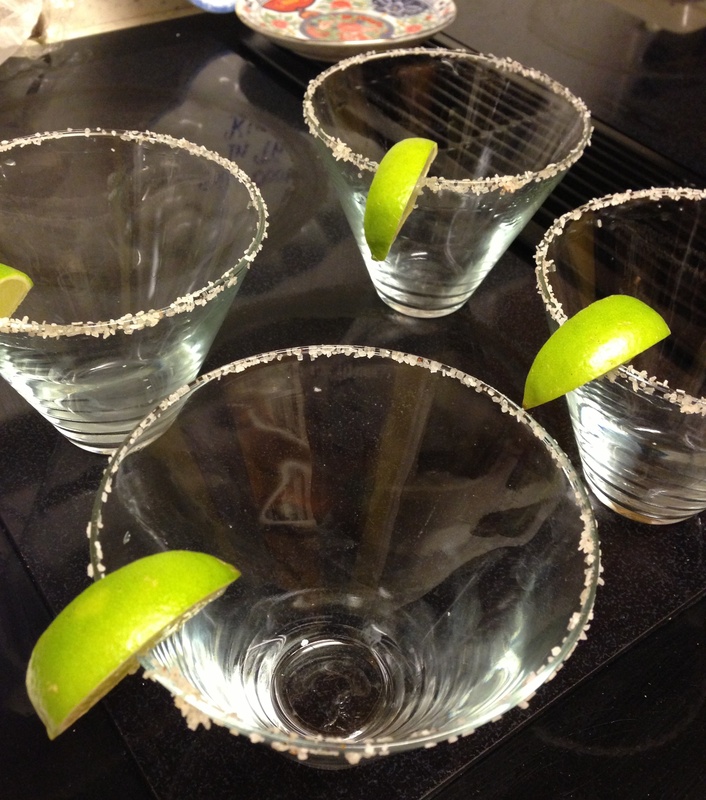 Using a lime wedge, wet the rim of the glass and dip the rim of the glass in chili salt. Pour and enjoy! This entry was posted in Cocktails and Drinks, Recipes and tagged chili salt, Mango margarita, spicy margarita, tequila by skibootsinthekitchen. Bookmark the permalink.